Summer is here again, which means it's time for the 2018 Summer Blogger Promo Tour! A lot of you guys that have been following us for a long time may know what this is, even though we've taken a break for a few years. So without further ado, let's get into explaining what it is, and then if you're interested in joining, the signup link is on the bottom! 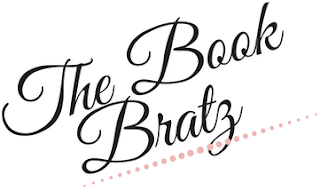 The Summer Blogger Promo Tour is a summer tour that we've put together at The Book Bratz that helps a bunch of bloggers both new and old link up with each other and collab on fun posts throughout the summer! c.) A suggestion guide of what kinds of weekly posts you can do! You guys are partnered for the rest of the summer now, and every Sunday in July and August, you guys will be collabing on posts together! You can decide what kinds of posts you want to do, but we will also provide you with a weekly suggestion guide of what kinds of posts you can do in case you need some inspiration, such as interviews, tags, guest reviews, etc. It's a great way to be introduced to a new blogger while collabing together and taking turns featuring one another on each other's blogs! 3. What are my obligations? Every Sunday in July and August, you have to put up a post involving your partnered blogger. You can alternate which weeks you post on your blog, and which week you post on your partner's. But each post each week needs to include both of you! (Ex. You interview the other blogger on your blog one week, and then they do a book tag post with you on their blog the following week.) If you're worried that you'll be busy throughout different parts of the summer, not to worry! We'll make sure that we assign you your partner early so you have plenty of time to pre-schedule your posts. 4. When are the deadlines? Sign up before June 16th, because that's when we'll be sending out the emails telling you who your blogging partner is! If you read all of this and you're interested in participating, you're in luck! Like we said, your blog partner and posting schedule will be emailed to you on June 16th, so you have until then to sign up! We're excited to see all of you! CLICK HERE TO BE TAKEN TO THE SIGNUP FORM. We're excited for a fun summer meeting tons of new bloggers and friends -- we know it's going to be a good one!